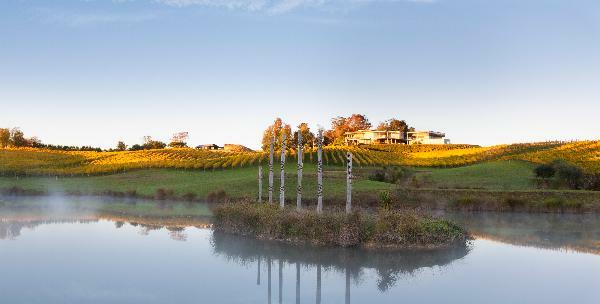 Mahana, which means ‘warm place’ in Maori, is nestled in the Upper Moutere Hills located outside Nelson, New Zealand. It was founded in 2000 with a vision of creating a world-class winery destination. Years later, we are at the forefront of producers, creating dynamic, thought-provoking wines from dry-grown and organically farmed vineyards. Combining traditional winemaking practices with alternative thoughts and ideas we express the land in our own way. We believe that by following the rules you can make good wine, but only by challenging the status quo and honouring your intuition can you create a work of art. The cellar door at Mahana is open Friday, Saturday and Sunday each week. Call ahead, as it is occasionally closed for a wedding or special event. Forsters restaurant provides a true culinary experience overlooking the vineyards, and is open 7 days a week for lunch from 11:00am - 4:30pm.